"Pew. Pew, Pew. Luke….they got me. Tell Xbox Resource…..tell them….I’m sorry. " 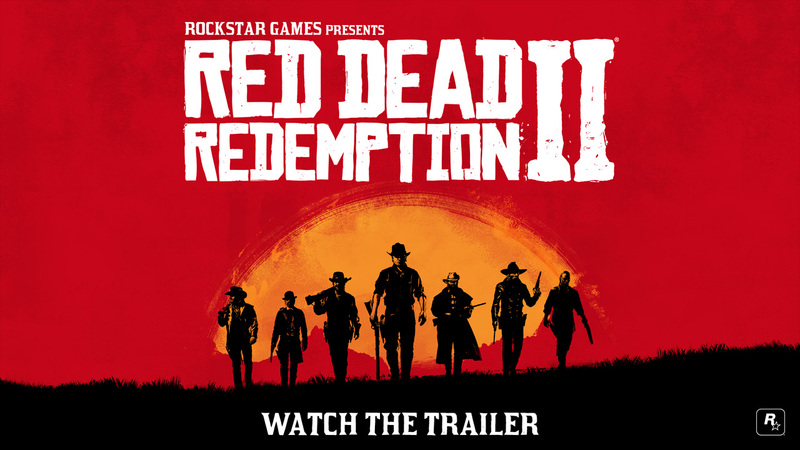 Rockstar has just released their third trailer for their upcoming game Red Dead Redemption II's, revealing more of the upcoming Western-style sequel and the new trailer includes a “easter egg” for fans of the first game but we will get to that. In the third Red Dead game (Yes I’m counting Red Dead Revolver), you'll be under the high noon sun and quick drawing on some fools with outlaw Arthur Morgan, plying his violent cowboy bandit trade with the rest of the Van der Linde gang, as they go on the run from the best bounty hunters and federal agents America has to offer. Set in 1899, the sequel takes place well over 10 years before the events of the first. As the trailer depicting a young John Marston (YESSSSSS!) shows. With the law hunting down the last of the outlaw gangs, Morgan and the gang are top of the hit list when a robbery goes badly wrong in Blackwater, forcing the posse to flee. As a result, divisions in the gang begin to develop; leaving Arthur having to choose between his ideals and loyalty to the gang he grew up with. Take a gander at this here trailer partner and judge it for yeself, you here? Red Dead Redemption II will be saddling up and riding out on 26th October 2018 for Xbox One.